One person asked me, upon reading my anti-capitalism pro-free market essay series, for ideas on how individuals might help contribute in daily life. Walking the walk on two of the big points is easy: shop at independant stores instead of chains, don't buy IPOs, and if you create something (art, music, software, inventions), make it creative commons / open source / patent it but then licence it for free. As to walking the walk on real estate: I don't really think it's applicable. There is some political momentum behind changing the corporate system after Citizen's United, and there is piracy/file sharing undermining copyright, but there is exactly zero movement behind one person one parcel. Thats not even a phrase that exists. I just made it up, just now, as I was typing! But there really is no inbetween. Nothing any one person does (short of the solution proposed in Manna) is going to have more than zero effect on the rest of the world. For one person one parcel, I think the best anyone could do right now, even a billionaire, would be to publicize and promote the idea, because the first step would be getting the idea into the minds of millions of people. Its not quite communism, not quite libertarianism, not quite anarchy, not quite free market. As far as I know, its something no one has ever thought of before. There is one other thing - probably the single biggest change to our system, (short of one person one parcel) would be for working hours to be adjusted downward to match increases in efficiency. That is something we could easily do, if we were so inclined, just like we reduced working hours from 60-80 per week at the turn of the last century down to 40-50 hours today, as the industrial revolution vastly increased output per worker. 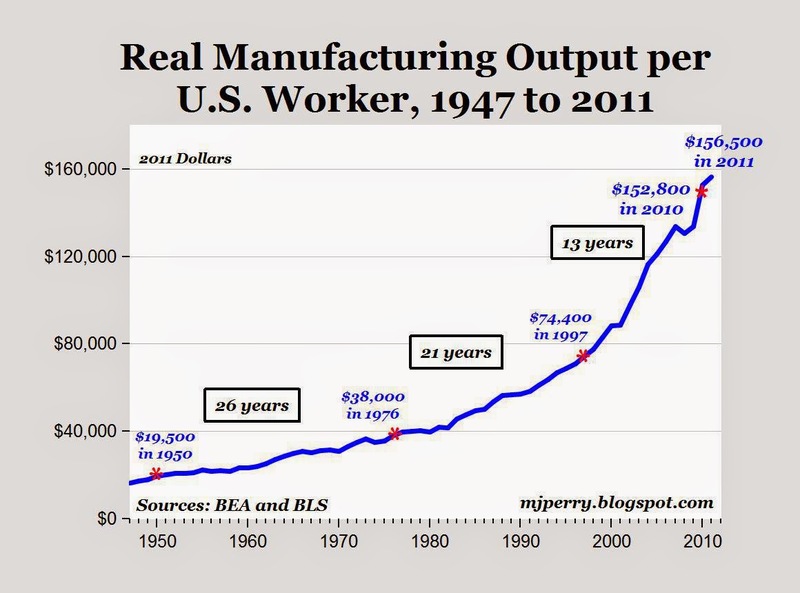 Today, computers and the internet and robots, plus outsourcing and corporate consolidation, not to mention quickly advancing 3D printing, has increased productivity far more than steam power and assembly lines ever did, yet we have never adjusted the 40 hour work week to match. Our insanely massive income inequality, inflation adjusted income stagnation, and steadily high unemployment are all direct results of that. but 35 seems a bit more politically realistic as a starting point.